Mandela Trilogy. Images John Snelling. Mandela Trilogy, a musical tribute to the life of Nelson Mandela, returns to the UK for a 2016 national tour opening at Wales Millennium Centre next August. 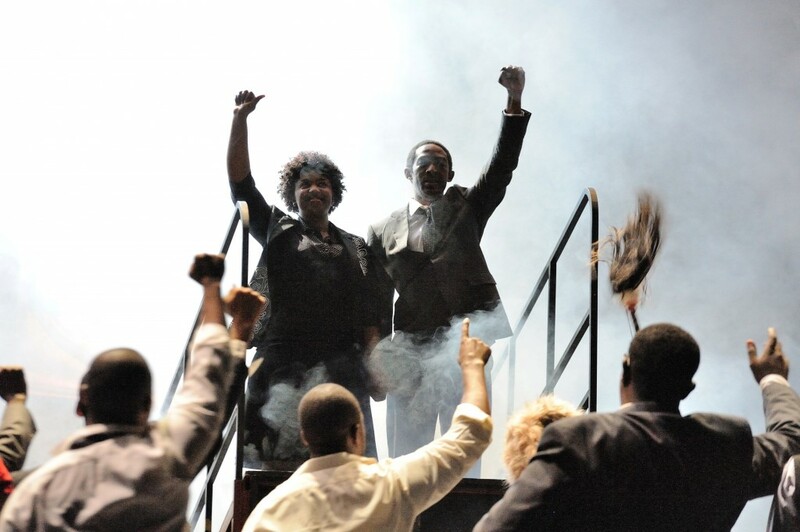 Told in three parts by a cast and orchestra of over 60 South African performers, the music matches the vastly different phases of Mandela’s journey from freedom fighter to president. The upbeat jazz and swing-influenced songs of Sophiatown are framed by musical styles more familiar in contemporary opera – with a dash of Xhosa folk music that grounds the production in its African roots. 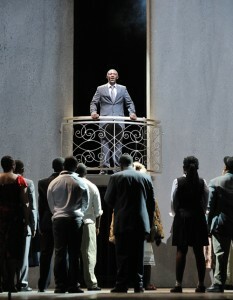 The co-production from the Millennium Centre and Cape Town Opera, was last performed at the Cardiff venue in 2012. It is written and directed by Michael Williams with music by Peter Louis van Dijk and Mike Campbell. Graeme Farrow, artistic and creative director at Wales Millennium Centre said: “We are delighted to be presenting Cape Town Opera’s Mandela Trilogy on a UK and Ireland tour next summer. “Showcasing the talent of the hugely gifted opera company, this production will offer audiences a wonderful spectacle with its exceptional cast, award-winning chorus and original score. “I’m delighted we are able to share the story of Nelson Mandela’s heroic and inspirational life, two years after his death. September 23-24, Lowry Theatre, Salford.